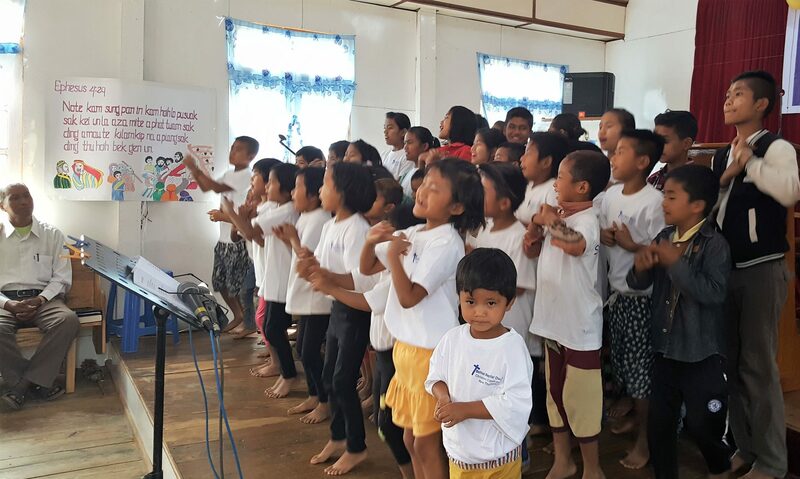 One hundred-fifty-eight children ages eight to fourteen gathered in the Zomi village of New Thalmual in northwestern Myanmar for five fun-filled days of year-end Bible camp April 5-8, 2018 (school year runs June-February in Myanmar). A highland people group of Tibetan-Burmese ethnicity numbering around ten million, the Zomi live scattered throughout the mountainous hill country of northwestern Myanmar, Bangladesh, and northeastern India. In Myanmar, many Zomi have responded to the gospel over several generations of missions outreach, forming a sizeable Christian minority in that area. A number of Zomi Christian youth have attended BCM Myanmar’s Bethel Bible Institute in the capital city of Yangon more than twenty-three hundred kilometers south of New Thalmual. 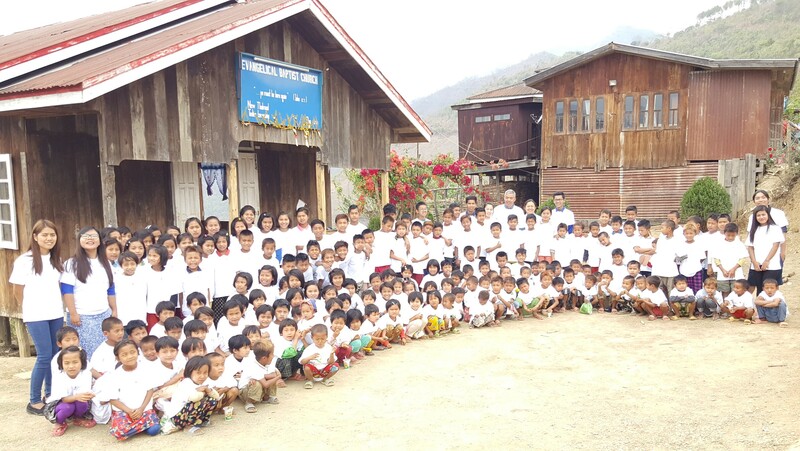 One BBI Zomi graduate student invited BCM Myanmar children’s ministry director, Miss Kim, to hold a Bible camp for Zomi children in her home region. When Ms. Kim arrived, she found a village of only ninety-three households with another small village of Old Thalmual just three miles away. To see one hundred-fifty-eight children show up for camp meant that virtually every family in the two villages had sent their children! 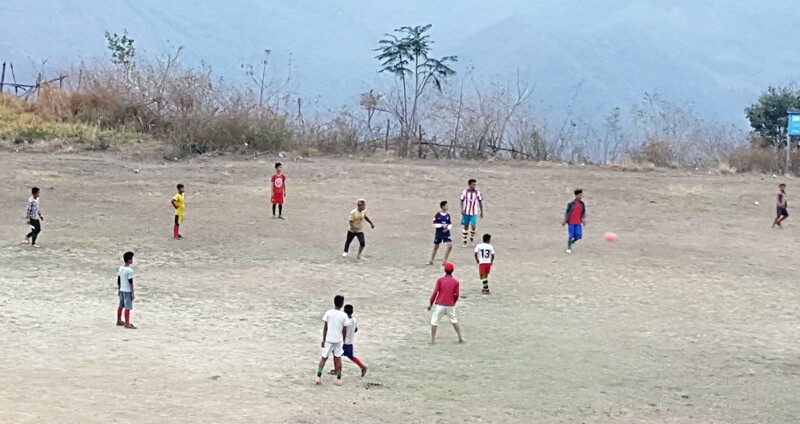 A local congregation, Evangelical Baptist Church, offered their facility for camp activities. Miss Kim was helped by a team of nine volunteers, including five young adults who had attended or were currently attending BCM Myanmar’s Bethel Bible Institute in Yangon. The daily schedule included Bible lessons, worship, games, and other outdoor sports. The Myanmar school system teaches English as a second language from kindergarten onward, while the Zomi children are already bi-lingual in their own language and Burmese. So they enjoyed learning worship songs and Bible lessons in all three languages. 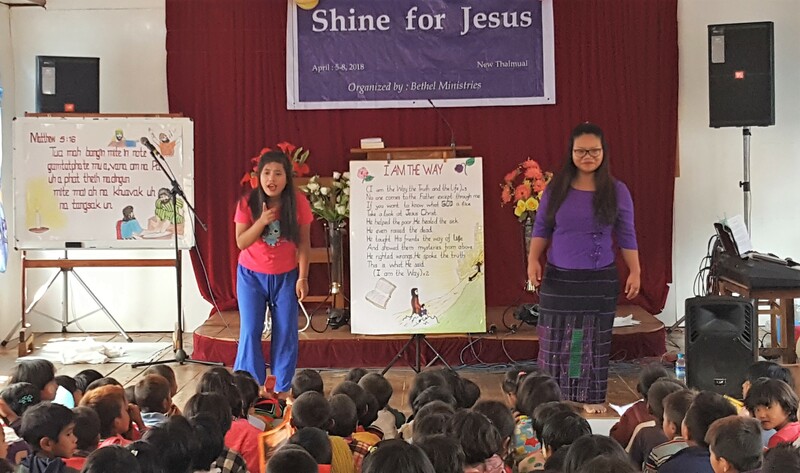 The camp theme was “Shine for Jesus”, a fitting one as by the end of the week, twenty-nine children had made a personal decision to trust Jesus Christ as their Lord and Saviour, while many others who already knew Jesus renewed their commitment to follow him faithfully.